Australia South, Tasmania. From Perth to Wollongong Harbour. 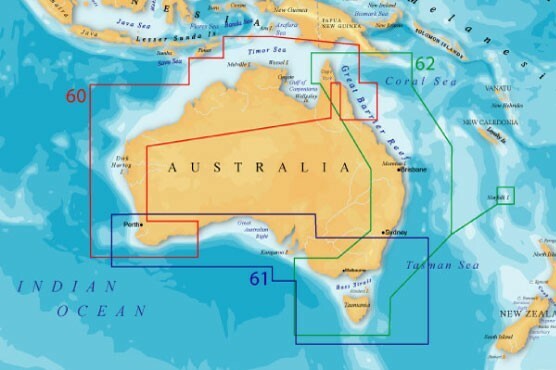 Including Great Australian Bight, Spencer Gulf, Gulf ST, Vincent, Kangaroo Island, Bass Strait, Furneaux Group, King Island, Melbourne, Adelaide.